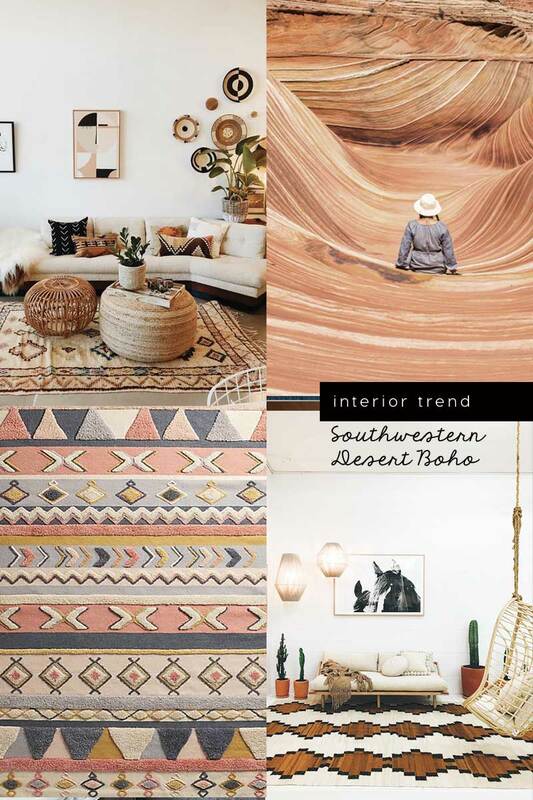 Ever heard about the Southwest Desert Interior Style? 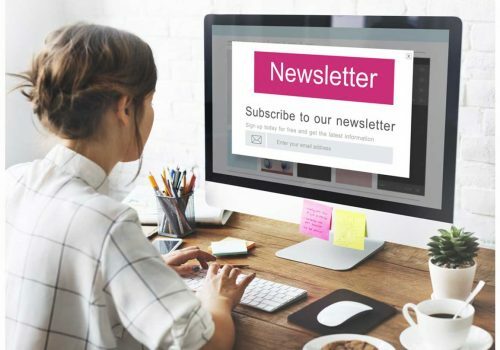 Actually, I have been seeing this interior style for a while now but it’s on its raising, according to the latest trend forecasts including the one by Etsy. 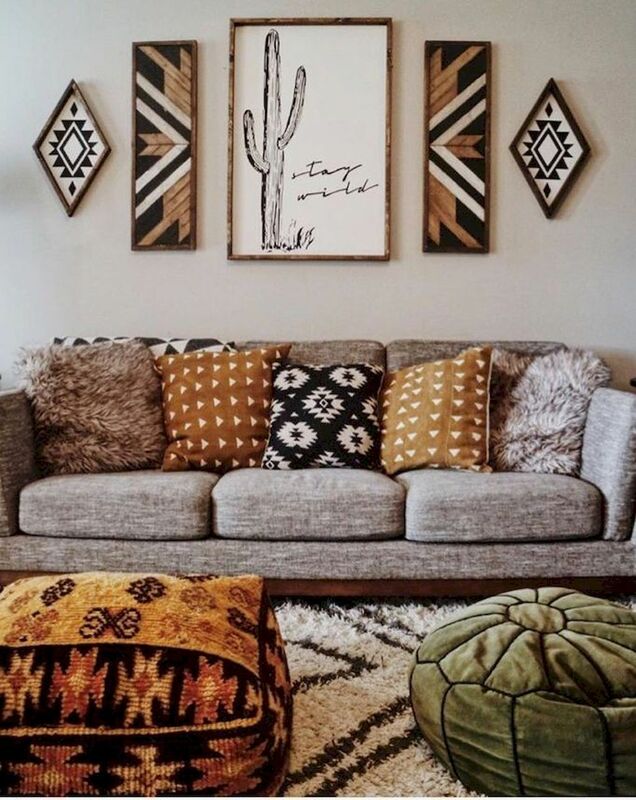 I have never shared anything about this style so that’s why today I am sharing on IB some cool tips and inspirations to get the perfect Southwestern Desert Style in your home. I truly like this kind of decor, even if I am more into a more minimalistic and Nordic approach. So, I think that this post may be inspiring also for those who like me love the Scandinavian mood. 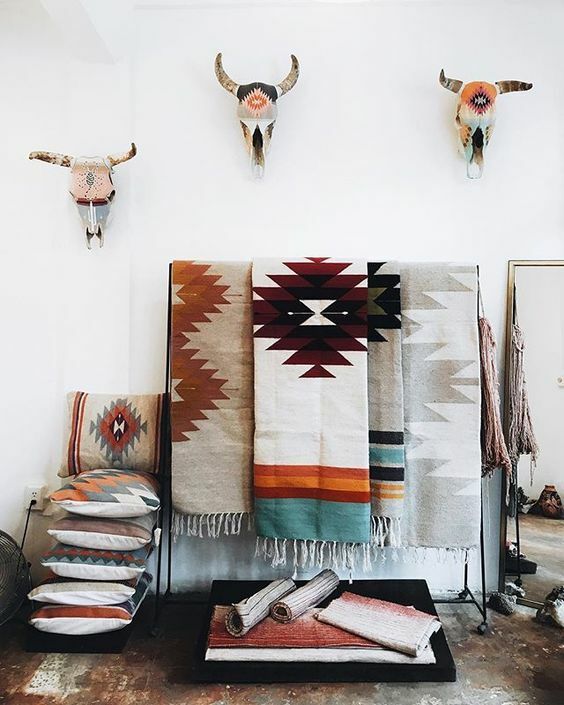 In addition to this, I am also organizing a huge road trip for this summer in the American Southwest regions so I feel particularly inspired lately by the desert boho interior style. And look forward to being back to you with my photos too! 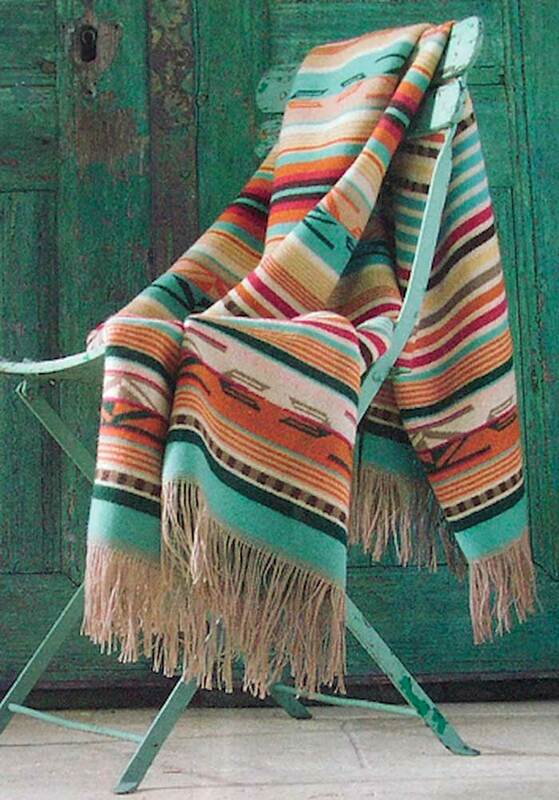 The Southwestern Desert decor is a kind of bohemian style, but with less striking colors and more earthy details. 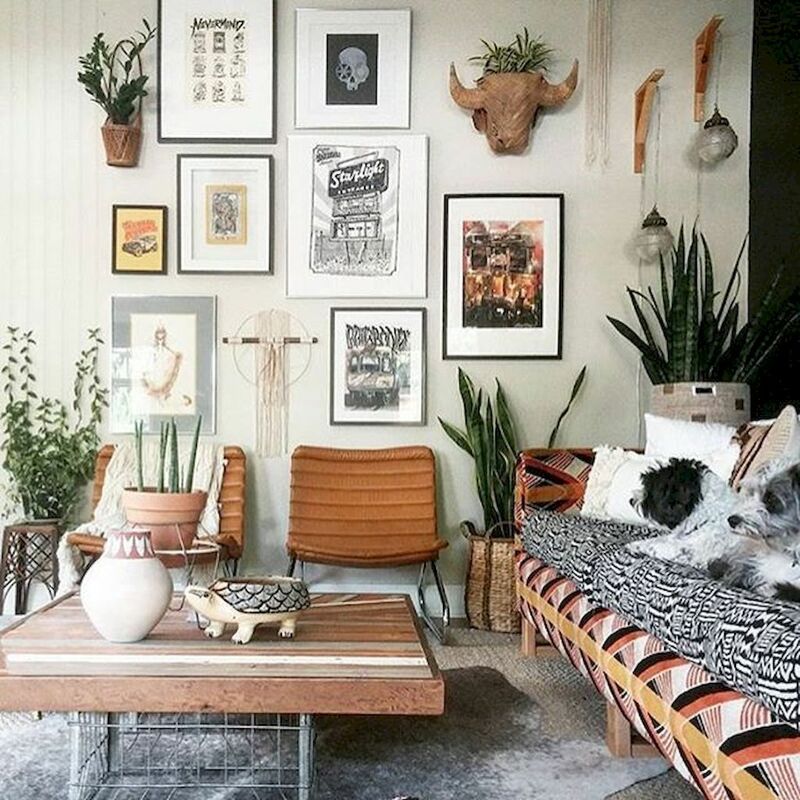 The style is eclectic but inspired by a specific area, that’s to say the South-West regions of America (think about Arizona, New Mexico, California) . 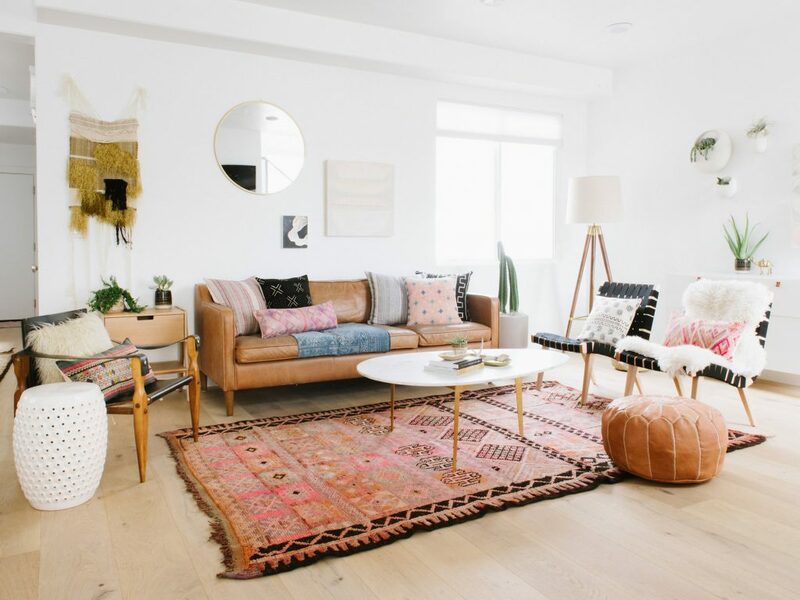 If you are into an eclectic aesthetic and love layers and mix and match, but at the same time would like to keep the whole quite neutral, this may be the style for you. Here my top tips and inspirations to add a desert-chic vibe in your home. 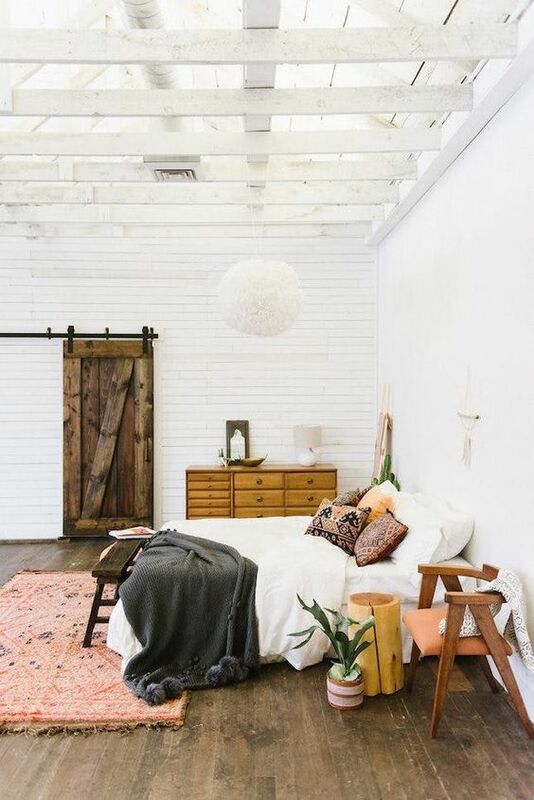 The big difference between this style and the Bohemian interior style we all know is in its color palette. In fact, as the name suggests, the interior palette is inspired by desert hues. That means, by earthy and neutral hues, the same colors that are so cool at present also in Scandinavian decor. 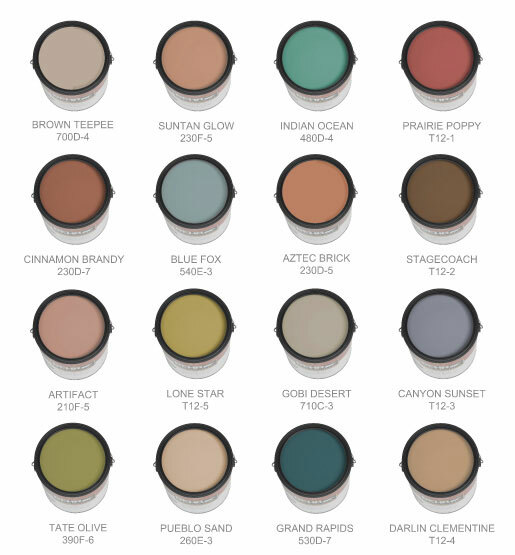 The color palette inspires to the arid landscapes of the American southwest, which offer some of the most interesting color spectrum of the country. 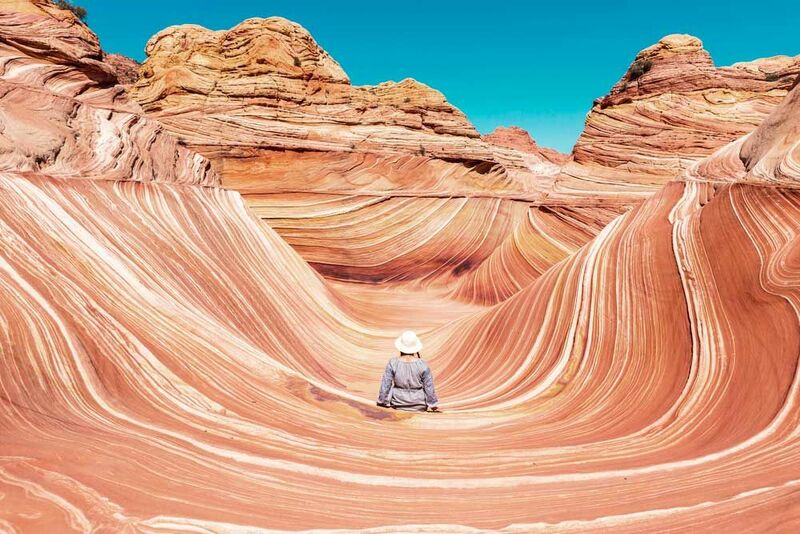 Just think about Grand Canyon or Antelope Canyon, for example! Choose colors like caramel, terracotta, rust, clay, and layer them with lighter earthy colors such as sand, taupe and beige. Some dusty pink highlights work great together with the desert palette, as well as in nature you can see pinky gradients in desertic landscapes. Then, you can add more interest to the palette with some pops of teal, purple, cyan blue, and turquoise, inspired also by natural elements of the landscapes such as sky and stones. To make the whole decor consistent, the first suggestion is to stick on white paint for walls. You can be absolutely creative with accessories and fabrics, but to get a fresh and modern result white is required. 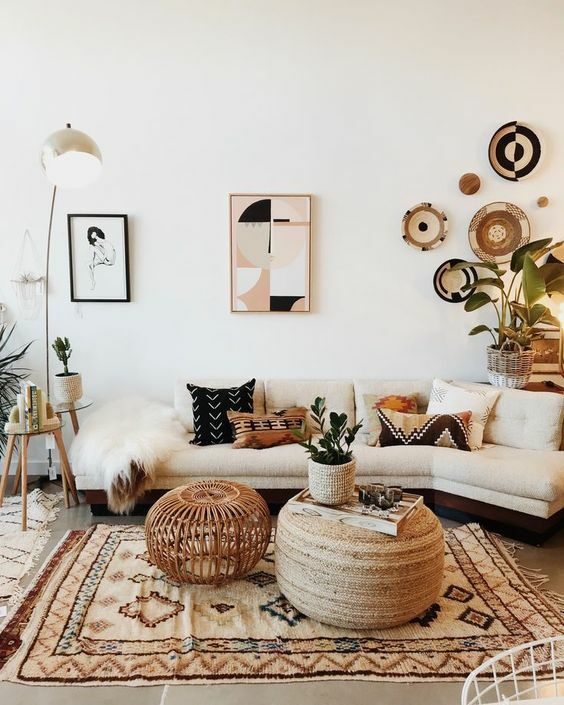 The desert modern style refers to California boho eclectic decor, so be creative and mix and match different patterns, muth-cloth pillows, rugs, in different layers. But to get the most beautiful desert vibe, choose between Western American motifs: like for example Tex-Mex icons and Meso-American geometric patterns. 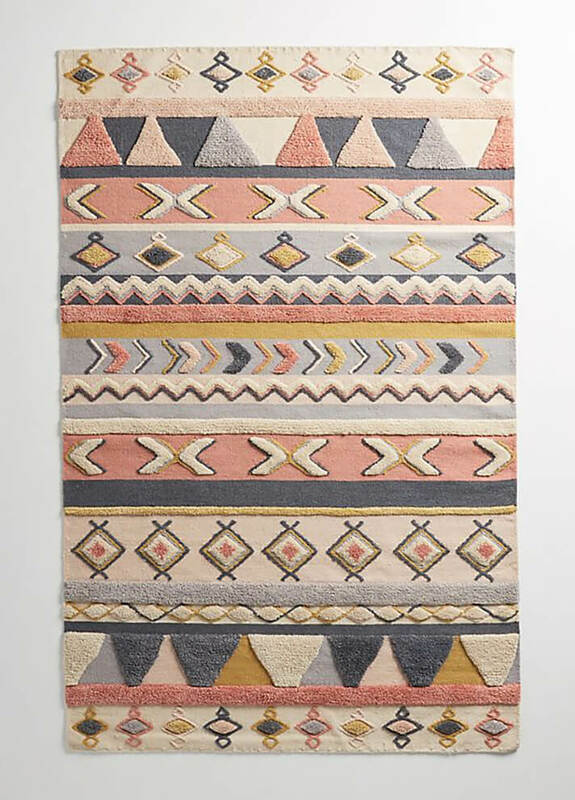 These patterns and textiles are super versatile and laying down a Southwestern rug with a geometrical pattern can add a cool vibe to many other different styles. To choose the cushions and accessories, start from the color palette of your rug and mix and match the objects in the different hues. 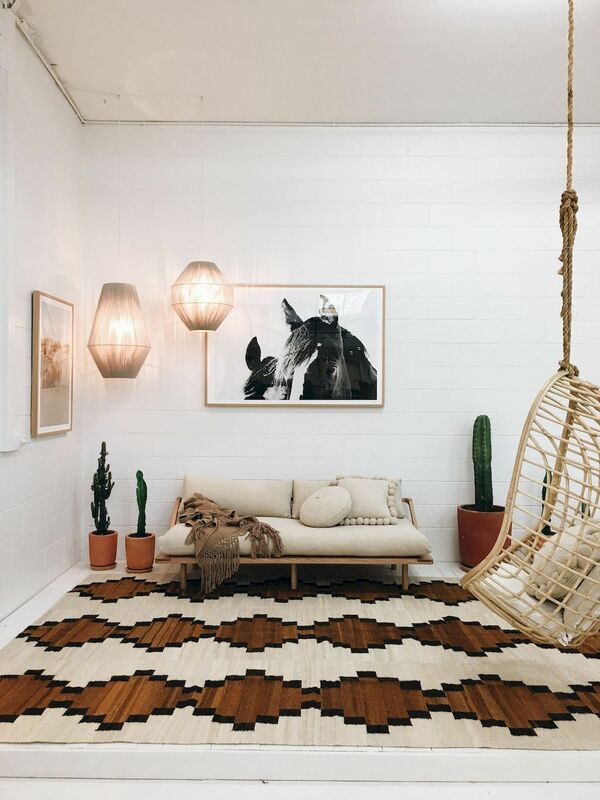 Every desert chic room demands raw and warm materials, starting from wood. Consider natural wood, mixing exotic woods such as for example balata, goncalo alves, greenheart, to carved wood and other essences. Another material which is a must of the desert style is leather: make sure to go for cognac leather, not for dark browns. Perfect for this, the mid-century modern leather side chairs, or also, for example, incorporating a touch of leather in details such as cabinet pulls. Ever heard about japandi interior style? Besides layering different textile and patterns, you can also play with different layers of furniture. 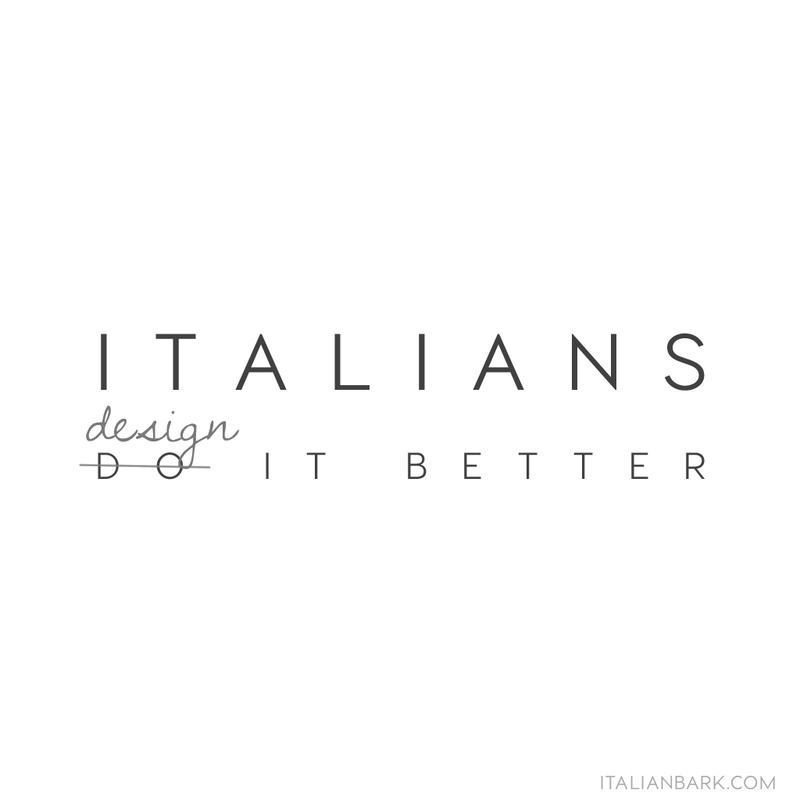 That means, pairing Old and New: choose some Western-styled pieces to be paired with more contemporary design pieces, but also some ethnic style pieces. Mid-Century Modern also work great in this style, but make sure to add just one or two pieces in this style to avoid the predicted effect of too-much mid-century. Don’t forget then to add more interest to your decor by choosing some artwork. Yes, but which kind of? Avoid minimalist and typographical prints, while going for abstract prints, landscapes, desert, and palm-tree motifs. Finally, no desert-chic interior is completed without a touch of green. Of course, if you go for a desert plant, cacti are a must, together with other succulents, palm trees!